Foam up a loose showerhead. Showerheads that run through walls or tiles can often work themselves loose over time. This is due to the continual vibration of water running through the pipes. Thankfully, you can stop the wobble and secure the showerhead with just a bit of expansion foam. 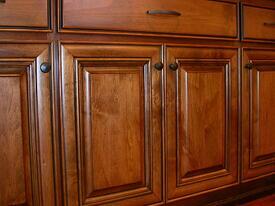 Keep cabinet doors closed with magnet clasps. Cabinet doors that won't stay shut or won't shut all the way can be easily fixed with magnetic clasps. 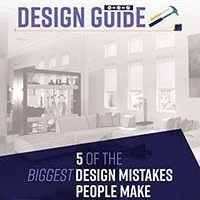 For best effects, go for rare-earth types as they're much stronger and simply use adhesive to mount one side on the cabinet trim and the other on the cabinet door where it'll make contact. Silence squeaky floors under carpet. Begin by using a stud finder to find the floor joists where the squeak occurs. Next, drive a trim head screw under the carpet, through the pad and subfloor into the floor joist. Use a screw without threads on the top inch for proper holding. Unclog a toilet with dish soap. Sometimes all it takes to clear a nasty clog is a 1/2 cup of liquid dish soap. Dish soap can be effective if left for an hour as it reduces friction and helps move things along when you flush. For best effects, combine with boiling hot water during flushing. Reinforce a drawer front with quarter-round. Quarter-round segments are great for securing drawer fronts that won't stay secure. Cut two segments down to the height of your drawer sides, dab a little bit of polyurethane glue and put them in position before drilling pilot holes and securing with screws. Straighten a bent blind. If you have dogs, cats, or little kids, you already know they don't often mesh well with mini-blinds. 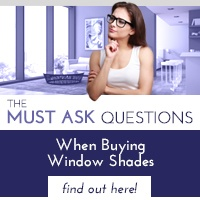 Rather, slat blinds seem to attract their attention and then are promptly destroyed. Thankfully, you can easily fix bent or mangled slats with what's called a mini-blind slat straightener, available for about $10. Of course, why even bother with mini-blinds altogether when there are better, more pet and kid-friendly window treatments available? 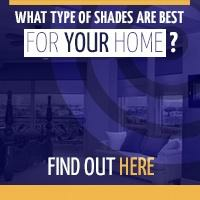 At Polar Shades, we have a variety of interior and exterior shades designed to adeptly diffuse light, maintain privacy, and enhance interior style. 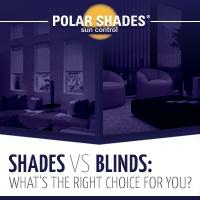 Contact Polar Shades at 702-260-6110 today to learn more about the variety of products we make locally or to schedule a free in-home consultation.